Atlantic Monthly Press, 9780802125750, 272pp. From one of America's most important writers, Perfume River is an exquisite novel that examines family ties and the legacy of the Vietnam War through the portrait of a single North Florida family. 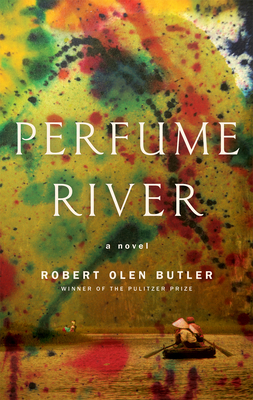 Robert Olen Butler is the Pulitzer Prize-winning author of sixteen novels, including Hell, A Small Hotel, and the Christopher Marlowe Cobb series. He is also the author of six short story collections and a book on the creative process, From Where You Dream. He has twice won a National Magazine Award in Fiction and received the 2013 F. Scott Fitzgerald Award for Outstanding Achievement in American Literature. He teaches creative writing at Florida State University.